So, the biggest competition of the year happened last weekend. We were fully prepared, we had some tricks up our sleeves and we had an expectation of a top half finish to consolidate our 5th place in the league. We also knew that we had a bit of a handicap, but we were confident that our two tuba players (we would normally have four!) would excel under the pressure and perform excellently. At the player registration desk we had a problem. There was an issue with our principal Eb tuba’s card and he was not allowed to play. Now that left a big hole in the music – there are 5 bars where he plays all by himself – and we had to fix it in approximately 30 seconds as we were just about to go on stage. Up steps the 1st Baritone player and he is asked to sight read the solo! A quick pep talk to get people in the right frame of mind again – at least we are not going to get disqualified! And then we go on stage. Congratulations to everyone who played (and didn’t play! ); you all pulled it off. The adjudicator’s remarks just had a huge “?” at the right place – it must have surprised them! 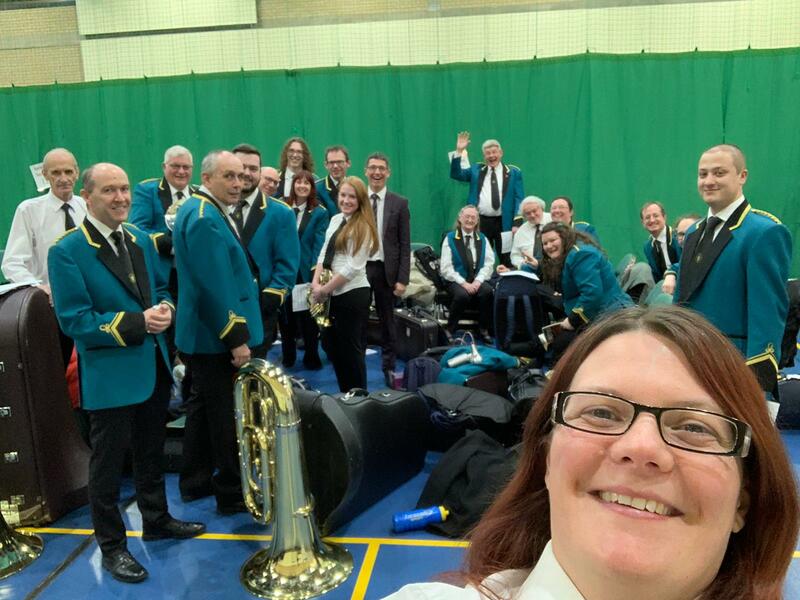 Everyone played exceptionally well and given the circumstances – one tuba remember – we were extremely grateful to come in at 14th position out of 18. Next year we’ll do better! Congrats to all in the band, and sorry to Rhys for not being allowed to have you play with us – we should have got it all sorted months ago!